I wrote my first "book" when I was about eight years old. I dictated it to my mom and I did the illustrations and she took it to a friend with a book binder (did I mention my parents are bohemian artist types?) and she bound the book. When I graduated from my MFA in Creative Writing program, my mom gave it to me. She'd held onto it all those years, just waiting around, I guess, for the day that maybe I'd make good on the promises I'd made to myself in that first writing endeavor. And maybe, she should've saved that gift for today. But I'll get to that in a minute. After I wrote that first book, I kept writing. I wrote terrible short stories in elementary school. I wrote terrible poetry in high school. I wrote several terrible novel openings sometime between when I started driving and when I started college. I thought about that today. The act of doing terrible writing. Making art that isn't so great. And, it reminded me of someone else's terrible poetry--Data's. My terrible poetry was way more terrible than Data's, btw. I never wrote jack in iambic heptameter. The thing is, though, that you pretty much have to paint a bunch of terrible paintings before you're a real painter. You have to sing a bunch of terrible, off-key songs before you're a singer. And, you have to write a bunch of terrible stuff before you're a writer. You have to get used to getting better. Get used to knowing that you're still not as good as you wish you were but you're closer today than you were yesterday. Artists grow. Musicians grow. Writers grow. Humans grow. And, yes, even androids in the future grow. It takes time. 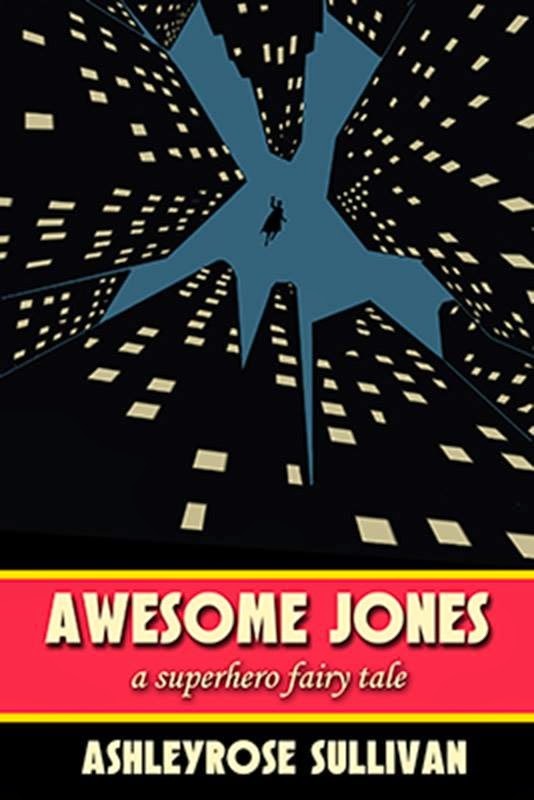 Today, my first novel, Awesome Jones, arrived in e-book form on Amazon and B&N and it'll be available in hardback in about a week. I worked on it for a long, long time. I realized today that when I started writing it, I was younger than the main characters but that, in the course of my work on it and its journey to publication, I had not only met their ages but passed them by. In a few months, I'm due to turn in its sequel and a few months after that, my second novel (the first book in another series) will be out. And, while it's all overwhelming right now, I keep telling myself, "This is just a step. This is just a step." Because it is. It's a delightful, thrilling, scary, wonderful step. But it's still a step. There's no end. I'm still just the same little girl, sitting on the floor, drawing pictures and filling in the stories around them. Trying to learn as I go, trying to figure out how all this stuff works, how to be human. How to be a good human. Anyway, if you're interested in THIS step, you can read it. Maybe you'll like it!